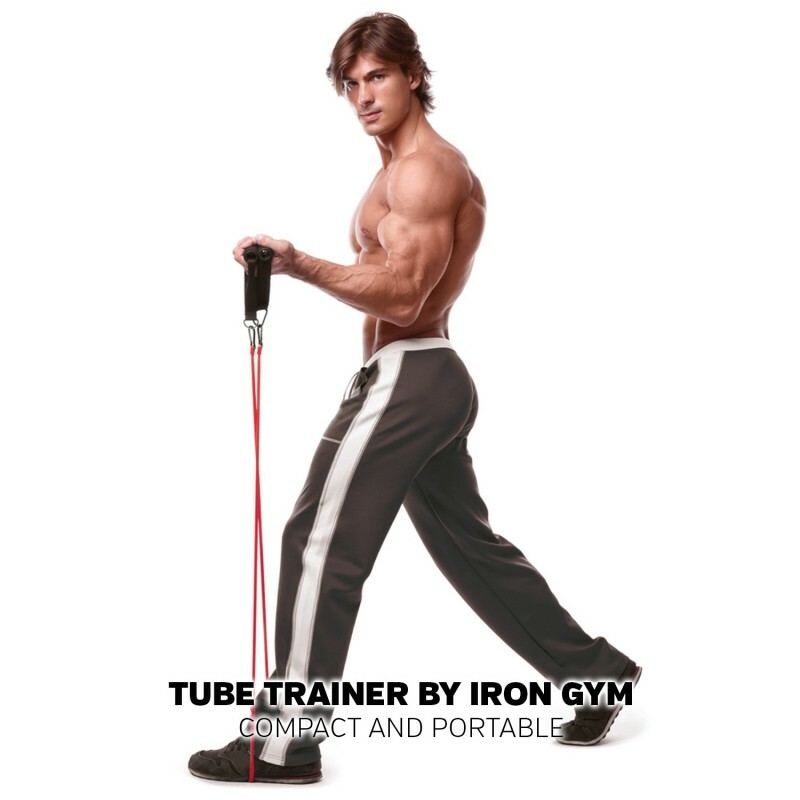 IIRON GYM Tube Trainer is ideal for a wide variety of fitness training, including weight loss, muscle toning, stretching, rehabilitation, physical therapy and general health and fitness. 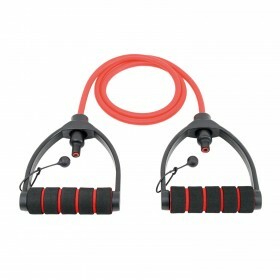 Padded handles provide comfort and stable grip even with sweaty hands. 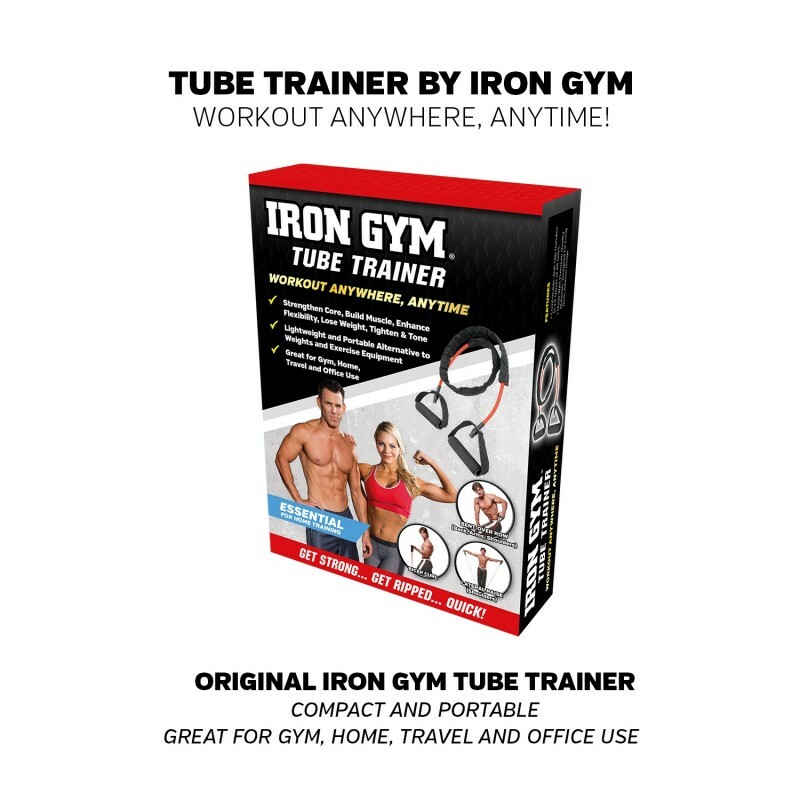 IRON GYM Tube Trainer is compact and portable, so you can take your workout anywhere, anytime. 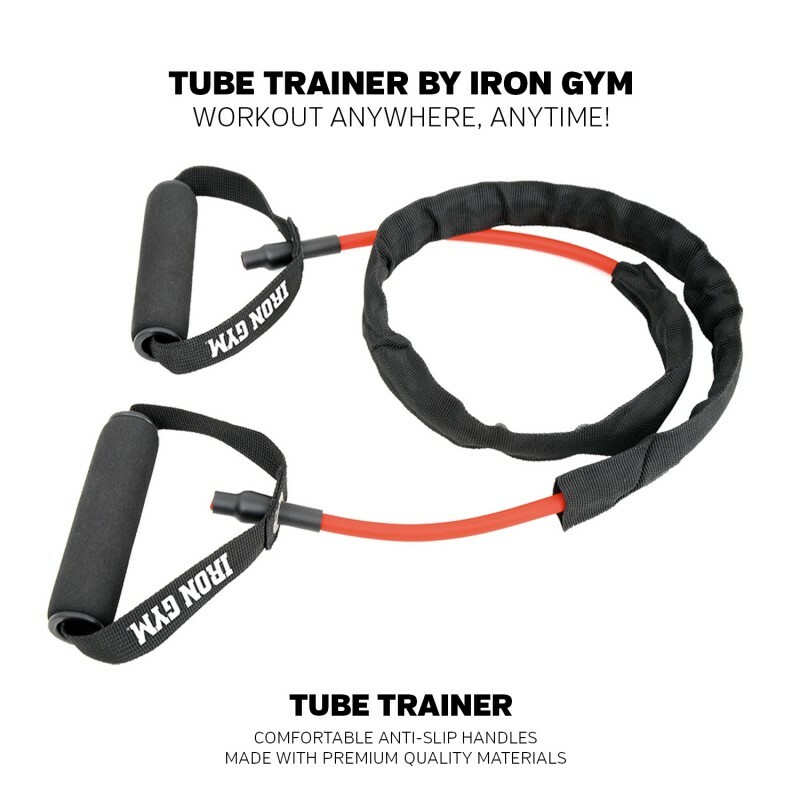 Great for Gym, Home, Travel and Office Use. 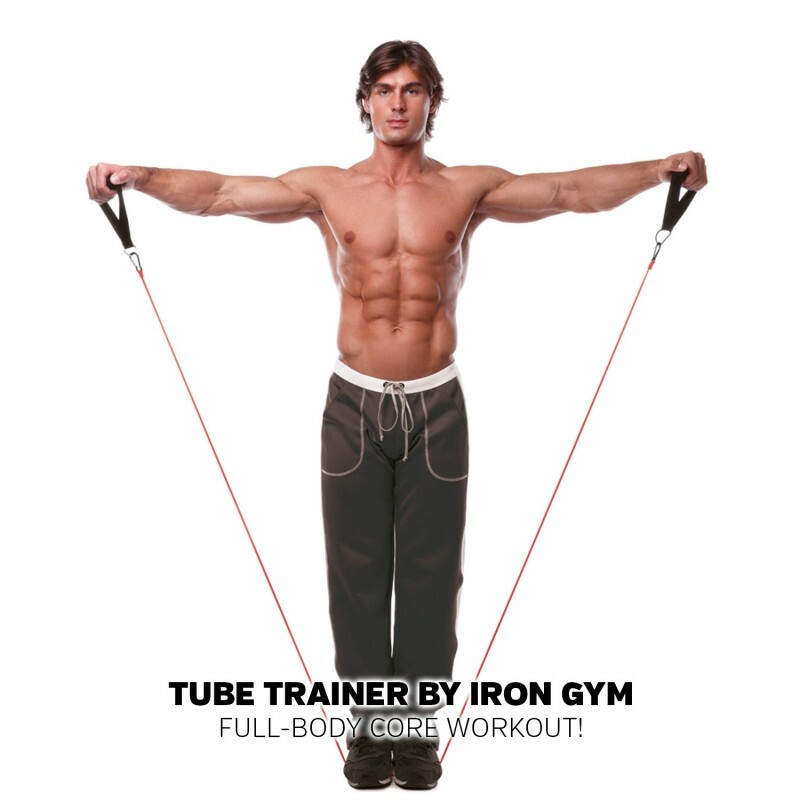 Free movement training with Tube Trainer enhances not just the bigger primary muscles, but also the minor and stabilizer muscles, which play an important role in overall health and performance. 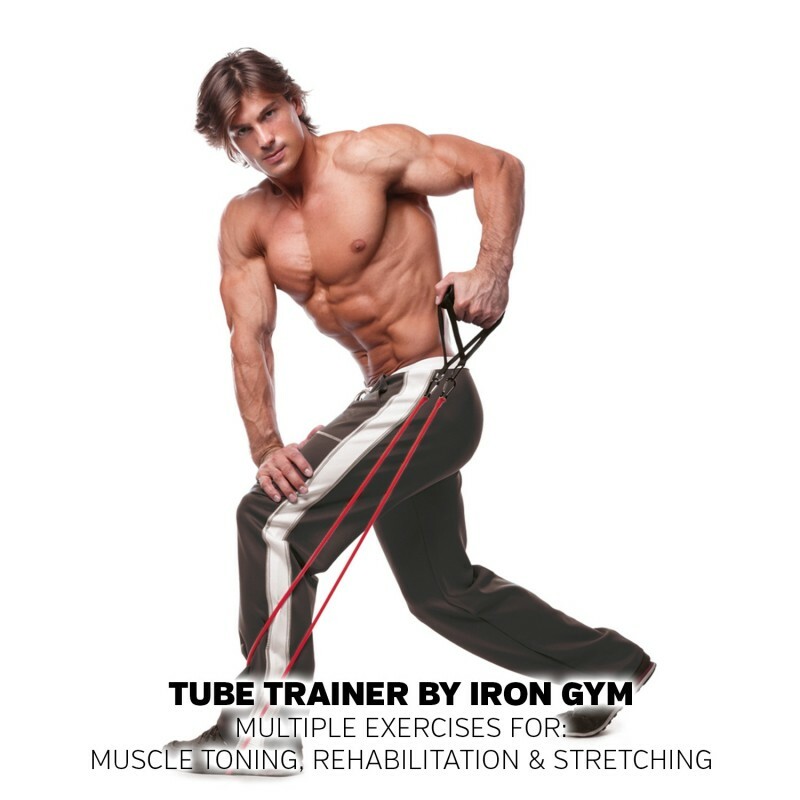 The adjustable resistance provided by the Tube Trainer is perfect for Warm ups, Rehabilitation, Stretching and Body Toning.